The BBC will find out in the summer if it is likely to be able to push on with a £6 million project to help bring on-demand video over an internet connection to British homes, and revealed what kind of set-top box will be required to meet the standard. BBC Trust has officially launched its consultation into Project Canvas, which sets an open standard for IPTV television and the set-top boxes that will allow people to watch on-demand television via the internet on their televisions. With IPTV, video on demand and online video all becoming more familiar with British audiences, the BBC Trust will now look to see if the project will help bring the benefits of the BBC's public investment to the whole public service broadcasting sector. A set of standards set by the BBC and its partners ITV and BT would allow other members of the industry to make the set-top boxes and receive access to a raft of television channels. HD-Ready: "The ambition is that devices meeting the standard would be 'HD-Ready' so subscription free HD services (like the BBC HD channel) would be available to those who had an HD television." PVR: "It is expected that devices will be available including some form of local storage, such as a personal video recorder (PVR)." Internet connection: "Devices meeting the standards would have an internet connection. 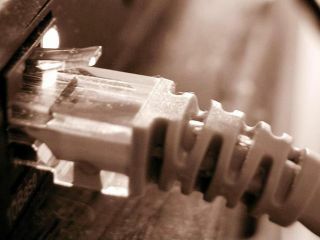 In order to access the internet and on-demand services (such as the BBC iPlayer), viewers would need to have a broadband connection from their internet service provider. These devices could enable on-demand services from the BBC and other public service broadcasters, as well as some internet content, which may include video clips or information from public service bodies such as DirectGov and the NHS." Have an EPG: "The standard would include an electronic programme guide (EPG) that viewers would use to move between scheduled and on-demand programming." Cost between £100-£200 and available by 2010: "The BBC Executive has estimated that initial devices (which would be set-top boxes) would cost consumers in the range of £100-200 at launch in 2010. In order to access on-demand services, users would also have to pay their internet service providers for broadband access." "The BBC Executive has applied to the Trust for permission to form a joint venture partnership, that would set and promote a common standard for delivering on-demand TV and other internet content through a broadband-connected device such as a set top box," said an official statement. "The BBC would not be involved in the manufacture or distribution of equipment. The Trust will decide whether or not to approve the proposals, following a rigorous scrutiny process, which will include two periods of public consultation and will report in the summer." "The Trust has challenged the BBC Executive to come up with proposals to help bring the benefits of the BBC's public investment to the whole PSB sector," said Trustee Diane Coyle. "This is the first of these proposals to come forward to the Trust and we will be scrutinising it to ensure the best possible outcome for licence fee payers. "We are now inviting all interested parties and members of the public to tell us what they think of the proposal."